If you are looking for an online casino that offers online slot games in Canada, CasinoPop could be a great option. CasinoPop is operated by MT Securetrade Limited. The company operates other casinos with UK and Malta gambling licenses such as Cashmio, Spinjuju, BetSpin, Guts, Casino Land, Dunder, and Rizk. At CasinoPop, each player has a membership status and a level bar. The player’s status falls under one of the four major tiers: Gold, Silver, Bronze, and Diamond. Your level increases based on your rank and the level bar shows your progress. Factors that will determine your progress include deposits, gameplay (real money or bonuses), and logins. The more you level up, the more your chances of winning some Extra Spins and a jackpot. CasinoPop also offers tickets that are raffled every month giving you an opportunity to win amazing prizes such as fun trips and an xBox! It’s important to note that the casino’s bonuses come with certain requirements. For example, players from Greece, Hungary, Romania, Poland, Bulgaria, Croatia, Pakistan, Portugal, Czech Republic, Ukraine, India, Slovakia, Russia, Latvia, and Indonesia cannot take part in the casino’s bonus programs. 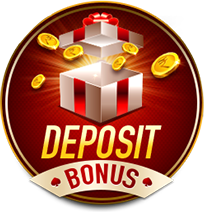 Additionally, Extra Spin bonuses come with a 25 to 30 times wagering requirement. The casino’s website is easy to navigate and available in several languages including English, Norwegian, Swedish, and Finnish. It’s easy to find the T&Cs section and the homepage shows players who have scooped prizes to encourage visitors to try their luck. In terms of appearance, the site has a pop art design from the 40s and 50s. CasinoPop offers a huge selection of online slots, table games and many live casino games. Their main focus however are slots and they are in vast amounts! Players can access over 1000+ Slot games from more than 20+ providers! 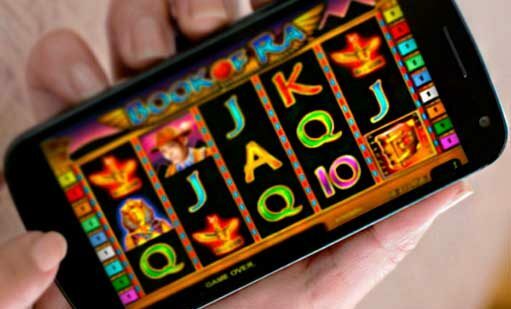 There are 437 slot games and 332 of them are available on mobile devices. Movie-Themed Slots – Jurassic World, Psycho, Terminator 2, Judge Dredd, and Lara Croft Tomb Raider. TV Show-Themed Slots – The Honeymooners, Game of Thrones, Battlestar Galactica, Star Trek-The Trouble With Tribbles, and Star Trek-Explore New Worlds. Music-Themed Slots – Guns ‘n Roses, The Rat Pack, Elvis the King Lives, Motorhead, and King of Pop. Sports Slots – Rugby Star, Champions Goal, Football Star, Cricket Star, and Basketball Star. Character-Themed Slots – Frankenstein, Zeus III, Jack and the Beanstalk, Rome and Egypt, Dracula, Medusa II, Jack Hammer, Ancient Rome and Mythology, Andre the Giant, King Colossus, and Spartacus Gladiator of Rome. Classic slots – Double Wammy, Couch Potato, Cash Clams, Jackpot Jester 50,000, and Cosmic Cat. Classic Jackpots – Golden Goal, Mega Joker, and Speed Cash. CasinoPop offers 12 jackpot slots and 9 of them are available on mobile platforms. You’ll find jackpot slots like Mega Fortune, Arabian Nights, Divine Fortune, Hall of Gods, and Mega Moolah/Mega Moolah Isis. There are 150 NYX & FRIENDS games from NextGen and 98 of them are available at CasinoPop’s mobile casino. These games come with occasional bonuses. CasinoPop gives you 44 table games and you can play 10 of them on your phone or tablet. The available table games include blackjack, roulette (French, European, Double Zero, and Super Wheel), baccarat, Texas Hold’em, craps, Pontoon Pro, Caribbean Stud, and Atlantic City Blackjack Gold Series. A lucky Finnish player won a jackpot worth €17,860,868 on the Mega Fortune slot! Another Mega Joker player placed a bet of €10 and won €35,000! Players must be at least 18 years old and reside in countries where CasinoPop does not restrict players. For various legal or commercial reasons, we do not permit accounts to be opened or used by customers resident in certain jurisdictions, including the United States of America (and its dependencies, military bases and territories. Luckily, Canadians can play at the casino. CasinoPop is available on various mobile platforms including Apple, Windows, and Android devices. Players can play some slot games, Live Roulette Pro, and NetEnt Live Roulette on their tablets and smartphones. However, you won’t be able to access 100 slot games if you play mobile casino games at the casino. Overall, CasinoPop offers about 400 mobile casino games. CasinoPop has a responsive customer support team. All in all, CasinoPop is a reliable online casino if you would like to access a wide variety of online slots and table games. However, it’s not the right place for sports bettors and video poker fans.